Starting a YouTube video without an intro is like starting a conversation with a stranger, without even saying your name first. It’ll feel awkward and forced. It's important to brand your YouTube videos with an intro for many reasons. It creates consistency across your channel, plus it's been proven that adding an intro to your videos help gain subscribers. You want your viewers to be impressed, right? That's where MotionDen comes in. 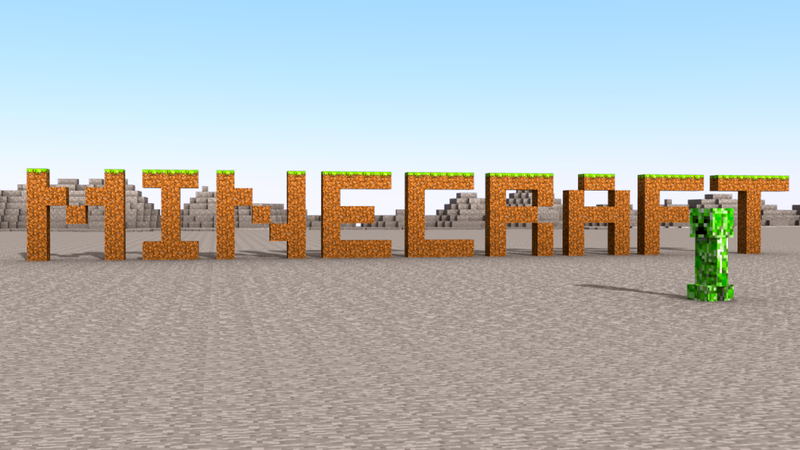 Our free online Minecraft intro maker can help you make a memorable first impression. Because everyone deserves a fair chance. MotionDen is an online animated video maker that helps you create impressive video intros for your YouTube channel. But we're not just a Minecraft intro maker, we also help businesses and marketers create video ads and company animated videos, we do it all, but we'll save that for later. We have a wide variety of video designs, some of which are free Minecraft intros that you can create using our app, entirely online! How can I make Minecraft intros with MotionDen? Browse our hundreds of different Minecraft intro designs here (search "Minecraft") to find the one that's a perfect fit for you, then click "Customize". Once in the video editor, click on the bubbles that appear over the customizable sections of the intro to change any images, logos or text. Once you’ve finished making the changes you want, all you have to do is click "Make Video" and MotionDen will make your stylish intro within minutes. It's pretty complicated, but basically, we have powerful computers that create Minecraft intros automatically for users 24/7 following the desired changes exactly as they request, entirely online using our simple video editor. It's never been possible before. How much does this Minecraft intro maker cost? MotionDen is for everybody, but since everyone is different, we've allowing everyone to use MotionDen entirely for free. We won't even ask for any payment information for you to make your first video.